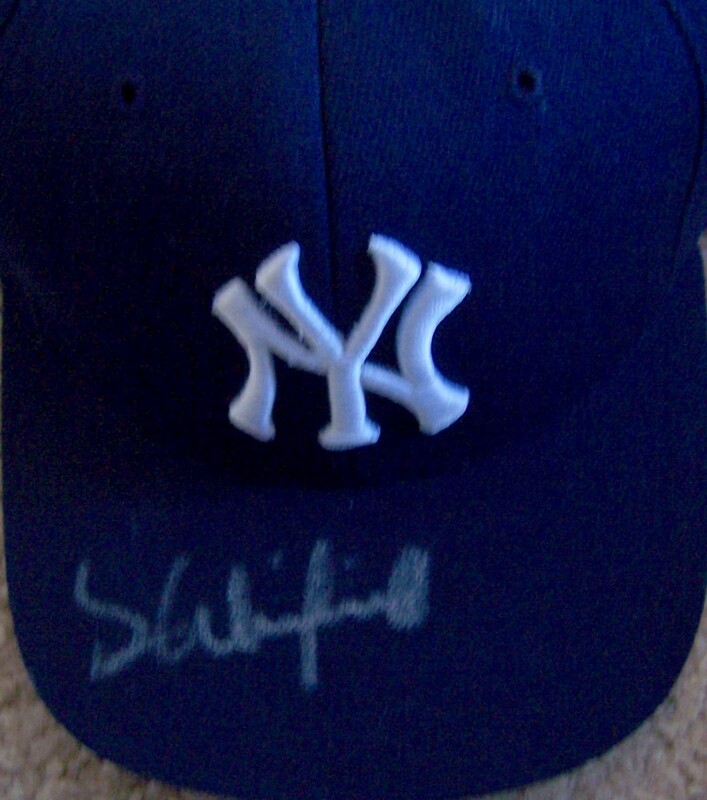 New York Yankees replica cap or hat autographed on the bill in silver paint by Hall of Fame slugger Dave Winfield. Obtained in person, with certificate of authenticity from AutographsForSale.com. ONLY ONE LEFT.